Hockey was Max Aaron’s first love before a back injury narrowed his dual-sport passion to figure skating and an uneven career which has the 2013 U.S. men’s champion in St. Paul striving to recapture his early success. The Scottsdale, Ariz., native actually crossed peewee paths with Minnesota Wild winger Jason Zucker, who grew up playing hockey in Las Vegas. Aaron had toe picks in hockey and figure skating when he visited the Xcel Energy Center in 2008 with an aching back and eyes on streamlining his athletic career. After finishing 13th as a junior at the U.S. Figure Skating Championships in St. Paul, Aaron was 16 and poised to join the National Team Development Program, the elite hockey mill that produces college and professional stars at its Ann Arbor, Mich., campus. During a routine weight- lifting session, his back seized up. He had fractured two vertebrae. Aaron ditched his hockey skates to concentrate solely on figure skating, winning the 2011 junior title and flourishing as a fearless and powerful jumper. Two years later, the underdog landed two quad salchows during his free skate and seized the national championship after finishing eighth in 2012. Brawn and clean jumps carried Aaron to the top of the podium in 2013, but judges remained less impressed with the technical and artistic aspects of his performances. Inconsistency resulted in third- and fourth-place finishes at the past two U.S. championships. Aaron failed to make the 2014 Sochi Olympics or qualify for the 2015 world championships, so he recalibrated his training to incorporate more ballet and expression in his skating. In October, he became the first American to win the Skate America international competition in Milwaukee, momentum he hopes to sustain during Friday night’s short program. “I don’t think anything’s at stake; just coming out here and working on my process and putting it together again and see where I lay up with the guys, ” he said. Aaron, 23, said he has been “very open” to working with choreographer Phillip Mills to broaden his artistic performance. He will skate to Pavarotti’s “Nessun Dorma” on Friday and the “Black Swan” soundtrack during Sunday’s free skate. The men’s field at Xcel is considered wide open after defending U.S. champion Jason Brown withdrew because of a back injury. More important to Aaron is racking up points to qualify for the world championships March 28-April 3 in Boston. No U.S. men’s skater has medaled at worlds since Evan Lysacek won gold in 2009. “He’s had some pretty good international results, and a few gold medals and big scores that would be highly competitive on the world level, because that’s where it’s at, ” said Tom Zakrajsek, Aaron’s coach. “I think he’s settled down and focused on improving, because if you’re going to break into that podium group, you’ve got to give it your all in every area. Aaron’s back injury was serious, but he still wonders what might have been had he resumed playing hockey. He has family ties to the University of Michigan in Ann Arbor, where the NTDP is housed. He only stands 5 feet 7 and described his hockey identity as a playmaking forward who wasn’t afraid to stand up to some teenage defensemen who towered over him. 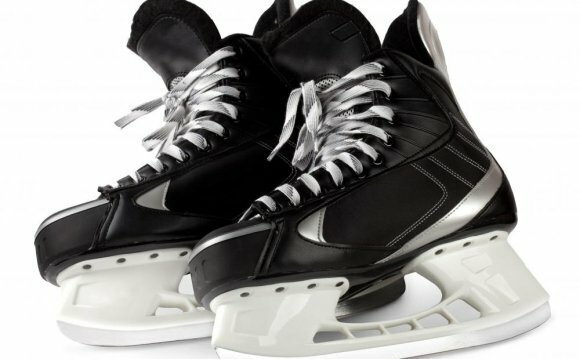 That said, it takes more concentration and endurance to skate two-minute, 50-second short programs and 4-minute, 40-second free skates than a typical 40-second hockey shift.